Services — Knowledge Synthesis Inc. Knowledge Synthesis delivers unique high-value results that link proteins, diseases, and drugs. Using our core big data technology we can accelerate your discovery of therapeutic targets or biomarkers for diagnostics, patient stratification, or treatment efficacy. Because we discover the potential of drugs to address new medical needs, therapeutic repurposing and indication discovery projects are a perfect fit. 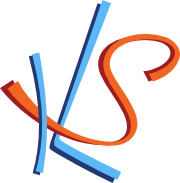 Knowledge Synthesis provides expert consulting, project management, and implementation for biomedical data integration efforts and data analysis. We can design and create databases, tailored analyses, and custom visualizations for your bioinformatics projects. From coordinating sample profiling, to data receipt, to data integration and analysis, to writing and publishing manuscripts with your team, we can shoulder as much project management as suits your needs. Please contact us about your projects and business so we can discuss the best model for your needs. © 2018 Knowledge Synthesis Inc.